This is a great reminder. The thing that comes to mind while reading this is simply, if the Lord leads then do it! If He’s leading you to share your burden then you must do it, putting all other feelings aside. 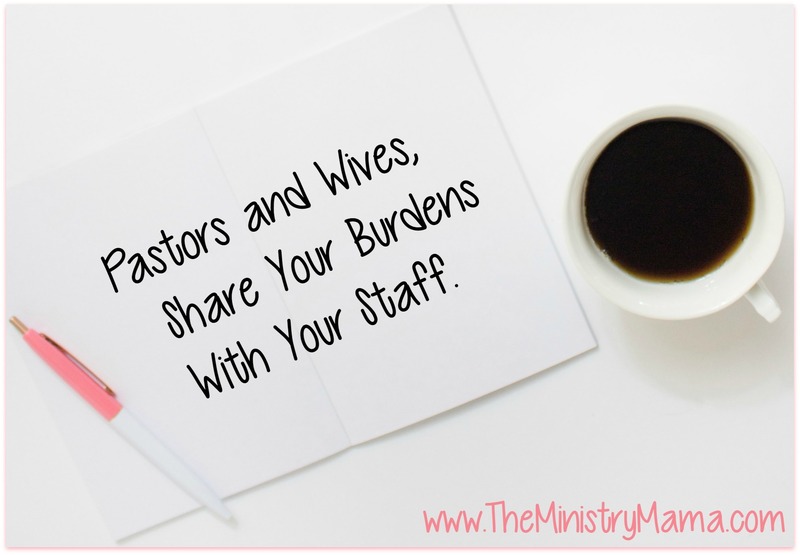 Church members don’t always tell their Pastor/Pastor’s wife their burdens either, because they don’t want to add to their stress. However, the Lord could be working in someones life in a way that can help you in bearing your burden. As with anything else, we must follow the prompting of the Holy Spirit. Your summary is excellent. I wish I could write with concise brevity. 😉 Thank you so much for sharing your viewpoint!